— Flood alerts issued for Kendrapara, Jajpur, Balasore & Dhenkanal districts in Odisha. — Odisha CM pays homage to Dr. A.P.J. Abdul Kalam; Publishes Gazette Notification renaming Wheeler Island as APJ Abdul Kalam Island. — Leader of Opposition Narasingha Mishra arrives in New Delhi to meet Congress vice president Rahul Gandhi. — 11 more sheeps killed by mysterious animal in Rayankpatna village in Jagatsinghpur. 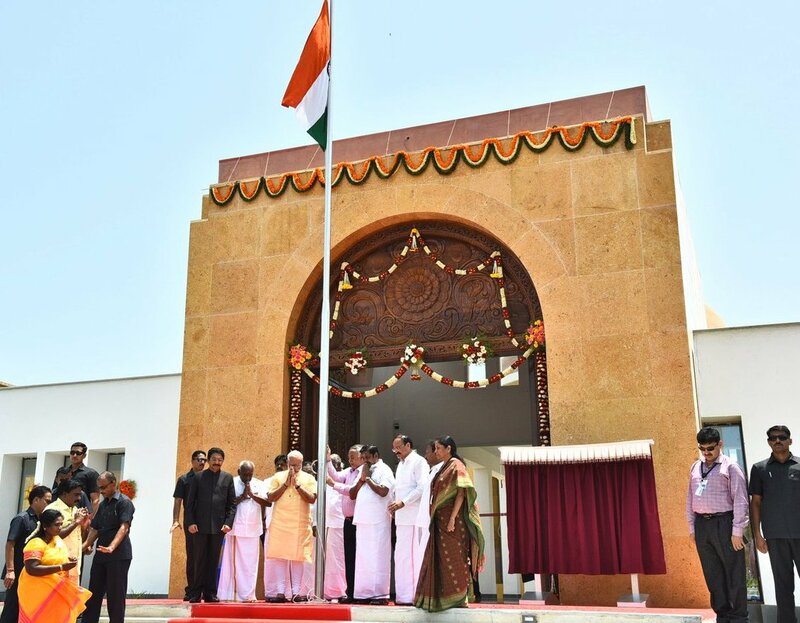 — PM Modi inaugurates Dr. APJ Abdul Kalam memorial at Pei Karumbu, Rameswaram in Tamil Nadu. — Bihar: Nitish Kumar to prove his majority in a special session of the Assembly tomorrow. — J&K: 3 terrorists killed as Indian Army foils infiltration bid in Gurez sector. — Former Karnataka Chief Minister N. Dharam Singh dies at 80. — India vs Sri Lanka 1st test Day 2: India all out for 600 (Dhawan 190, Pujara 153).